Children in Cambodia attend primary, secondary and then high school. English as a second language, however, is only taught in secondary and high school. 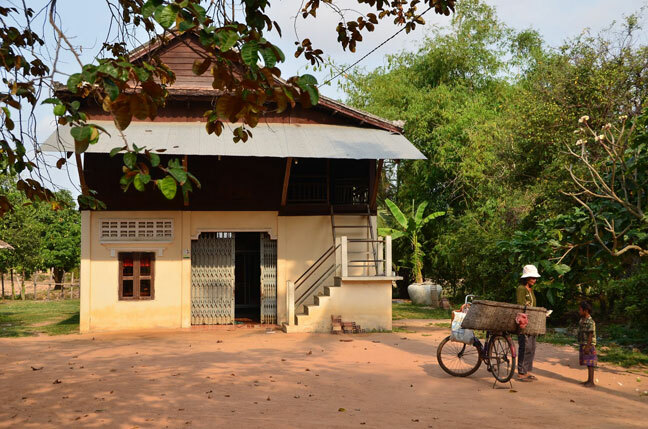 Alann's school would offer year round English classes to the young people in her village and to anyone who wished to attend in the neighbouring villages. By getting a head start in English at a young age, the children would thrive in their English lessons once they reach secondary school and have an excellent chance of obtaining good paying jobs in the tourism industry. With these jobs, they can earn money to take more language classes, support their families and/or go to university. 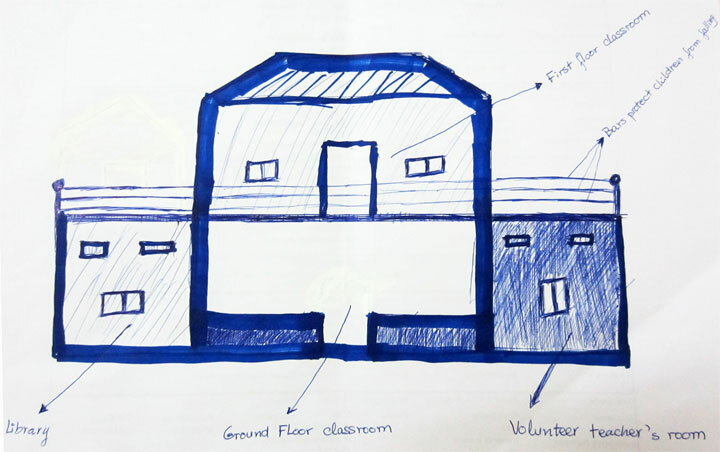 At an estimate of $20,000 U.S., the new school will be built above the flood line, ensuring classes can continue throughout the rainy season. Also, by having a school right in the village, the students can maintain their English lessons while helping their families with the rice harvest during harvesting season. 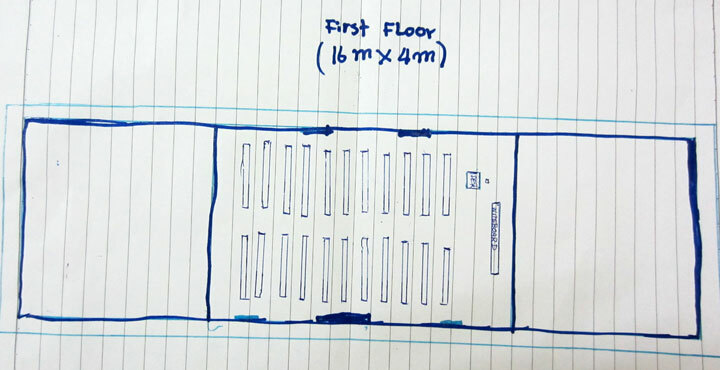 The new school would have two floors with a classroom on each floor. There would be a library filled with English books and a living space for a full time English teacher. Asked to envision what her dream school might look like, Alann sketched these drawings. The building below, located in Alann's village of Tourlveang, is a model for the proposed school building.